It’s been a GREAT YEAR at Prime BJJ for the whole team. This weekend we added a new World Champion to the ranks: Professor Leanna Dittrich! 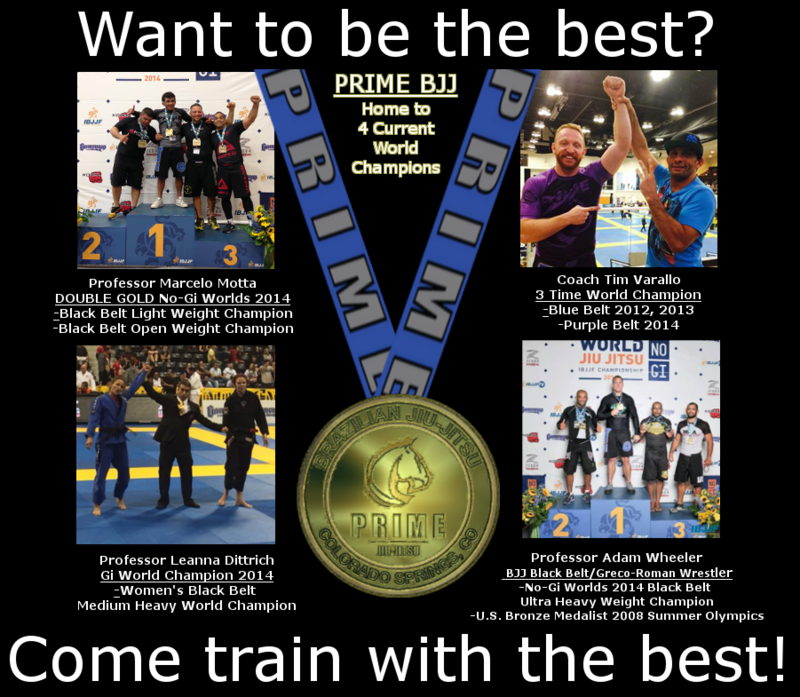 That makes 4 CURRENT WORLD CHAMPIONS ON STAFF AT PRIME BJJ. Oss and congrats, Professor. That was well deserved. Also congrats to Head Professor Marcelo Motta for scoring a bronze medal in the black belt gi division. We’re going to have to bulk up the walls in the new facility to make sure it can hold all our cool hardware! Everyone’s got goals, and each goal is taken seriously at Prime BJJ. Your goal right now might just be making it in 3 times a week. Just keep coming, because your next goal will be bigger and better….and it’s just around the corner. Maybe you haven’t even started training yet, or you’ve been out for a while. No worries! Shoot us an email at info@primebjj.com and we’ll get you hooked up with a free intro class.